Winter is approaching in my part of the world, and it’s time to protect skin — including hands — against the cold, dry air. I expect a good-quality hand cream to moisturize effectively, of course, but it will appeal to me even more if it has natural ingredients, a lush texture, stylish packaging ... and a fragrance with aromatherapeutic benefits or pleasant associations. Here are a few choices that include some or all of those features. 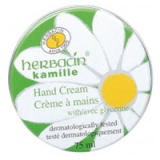 Feel free to share your own favorite hand creams in the comments section! I have always liked Kiss My Face Calendula and Honey cream – the smell is very transporting – I used to feel like I would be in India or something, like I was having a past-life sense memory. I'll have to try the Lush – their Dream Cream is one of my faves. Hi Tama! The Kiss my Face line is so nice. I love the shave creams. And as for Lush, all three hand creams are effective and good-smelling: Handy Gurugu (the newest), Smitten (soft almond), and Helping Hands (herbal chamomile). I'm a big fan of L'Occitane's 20 percent shea butter handcream, which you mentioned. It's a good size, and absorbs super fast. I favor handcreams without petrolatum, which simply seals out air. The ones that really soften my brittle cuticles and pine-cone elbows contain lab-made urea. A cheap thrill that works incredibly well and smells fine, if not transporting, is Gold Bond Ultimate Healing. My fave is another cheap thrill… Avon's Moisture Therapy. Not the least bit greasy, and it lasts through several hand washings. I'm not a big fan of the scent, although it isn't bad, and unlike the cream itself, the scent doesn't linger. It's the only hand cream I've found to stand up to a Minnesota winter. Many hand creams have too stong of a smell or just the wrong consistency, so hard to find a good one and even more so one that will smell good AND do the job. My favourite is Aveda's, which smells of tangerines with a hint of cinnamon and vanilla. The scent is sutble and never contradicts the perfume I'm wearing (whichever that may be) and also it has the power to heal really dry skin in the wintertime (including those unsightly cold burns you get when you live in Canada!). It did make them go away on several occasions. I think it has a fair amount of shea in it too. I'll second the Gold Bond. I live in the midwest upper lakes area (harsh winters) and wash my hands about 50x daily for work, and GB is my standard work handcream bcs. I use it so often. At home, I love Aveda Hand Relief; it works well and smells wonderful. I'll have to look for the M+G, I really like the few products/scents of their's that I've been able to find. I'll seal the deal on the Gold Bond. I'm right down the road from you so you know I know the perils of winter on the hands – I add another step to the ritual, in the morning and evening (obviously not during the day or I'd be toting around a shopping bag of produce:-) – Walgreen's has an alpha-hydroxy cream that I LOVE (it's in a white jar with black and red lettering) – and for some reason it clears up chapping like nobody's business – way better than any moisturizing cream. And it's $5.99/jar. I use it right out of the shower, on heels and elbows and hands…and immediately follow with the Gold Bond. Hi Ayala! I've used that one. It's called Hand Therapy and it has a little image of a hand on the tube. I agree, the citrusy scent is really pleasing, but light. I used to get compliments on it, just after I'd applied the cream. That L'Occitane Shea cream really is a classic; it works *so* well. I usually avoid petrolatum-based creams and lotions, too. Is that the one in the white tube with the blue cap? You're right, that's a good one. I think it has a lot of silicone…? Someone in my family always has a few tubes of Moisture Therapy around her house, and I use it when I visit. Rosarita, the M + G cream is a new product, and it's recently been added to the M + G website. Great reviews, Jessica! I'm particularly intrigued by the Desert Essence, since the price is right and I'm always looking for new natural/health store products. I'll have to check that one out. In the past, my favorite hand cream has been the Pre de Provence shea cream. It's very similar to the L'Occitane shea creams, but has a more neutral scent. Knowing your taste, I think you would like the scent of the Desert Essence Pumpkin cream, since it's warm and spicy. It's probably the most natural of the products I've just listed, and the price is good for such a big tube. Pre de Provence soaps are wonderful! This is such a great discussion and thank you for the reviews. I wash my hands constantly due to work. I also live in Canada with cold long winters. I did like Kiss My Face Calendula and Honey cream but found it too greasy to use at work. I am interested in the Gold Bond cream. Only the powder is available in my city. Must try to locate that cream. Crabtree & Evenlyn Gardner's Hand Therapy at home before bed. I also recently tried Yes to Carrots Hand and Elbow cream. Inexpensive, hydrating, but not wild about the consistency…too thin…. Hi Lovethescents, Crabtree & Evelyn Gardeners Hand Therapy is definitely a high-quality product that compares well with L'Occitane Shea Butter and Jurlique's Lavender or Rose creams. Thanks! My current favourite handcream is Innoxa Love and Happiness (with rose, jasmine, sandalwood and musk). I got it cheap at TK Maxx (that brand is not available in the UK any longer). It's wonderful. It goes in very quickly so I use it at bedtime. When I'm watching TV and have time to massage my nails, I use M&S Royal Jelly,which is very greasy and takes ages to go in and then leaves my nails incredibly moisturised and soft. I also have a tube of Soap & Glory: I adore its smell but it's so strong that I find it difficult to find the right time to use it. I usually just sniff it. LOL! I've never heard of Innoxa–it must not be available in the US either–but any rose, jasmine, and sandalwood blend would appeal to me! And of course we don't have M & S here, alas… but we do have some Soap & Glory products at Target. I own a small jar of their Righteous Body Butter, and it's nice and rich, but *very* scenty! L’Occitane has a nice shea butter cream that's really nice. I use it @ night. The smell is a bit old fashioned, like Pond's cold cream but it does the trick for chapped hands & feet. Hi Lizbeth, That's definitely a good one! Thanks. Last winter I used the gator hydrator(on your recommendation..:)) as a hand (and foot)cream (especially at night) and really liked it and the smell was yum (honey harmony)..
My favorite cream is Voluptuous Body Butter from cocoapink.net..I've been using it as a hand and body cream and it sinks in quickly but is very moisturizing and so far my hands are in pretty good shape (knocks on wood)..It comes in many scents..Apart from the preservative(paraben-free) and fragrance it seems to have natural ingredients, which is always a plus. Fun review, thanks! That L'Occitane is really, really nice, isn't it? Not too sweet. And I love the purse size. I'm a big fan of pumpkin. Do you think it's possibly sold at somewhere like Wild Oats, or only online? Sorry, Whole Foods! They ate Wild Oats several years ago… anyway, according to their website Whole Foods stocks it, I'll go have a look. Yes, that's the one…works better for me than the Gold Bond. We do buy the GB for my 4 yo, though. Her skin is far too sensitive and too dry to handle almost anything, and the GB does a nice job of hydrating w/o irritating her skin. Hello, Lavanya! I loved that Body Moose Gator Hydrator, and I need to buy a new jar sometime soon. It's so moisturizing. I liked it as an elbow-and-foot cream, too! For a while I was using Baby Gold Bond Powder. Very gentle! Thanks, B.
Yep, if you have super sensitive skin, GB is great. Once I moved to the desert, my skin, which had always been oily, became super sensitive to soaps and detergents, and dry, dry, dry. Loved the Avon before I moved, though. I've been using a fantastic hand cream by Dr. Hauschka which absorbs very fast, has a light rose scent and protects my hands during the day quite well. I've also started using a cuticle cream during the day, too. 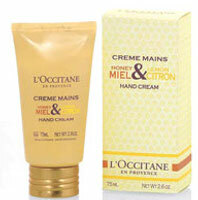 At night I use L'Occitane hand cream with shea butter and a nail oil by Paul & Joe. It sounds like a lot of work, but I live in the north and my fingers can crack and bleed, so it's better to head it off! Innoxa is a very old brand that used to be available in the UK years ago. I logged on to their website and it seems to be on sale in Australia, New Zealand and South Africa only. I'm grateful to TK Maxx for buying and stocking products from all over the world. That cream is really scrumptious. Handcream and the odd bit of food are the only things I buy at M&S. Those Soap & Glory products are not discreet, are they? LOL! No, not discreet at all! Enjoyable, but not subtle. Hi Mavourneen, I try to ignore the Dr. H section in stores, because I know I'd develop an addiction to *all* their rose-based products! And I didn't even realize that Paul & Joe has a nail oil. Their hand cream is quite nice, and if I can ever snag a sample, I'll write a review of it. Thanks! I just noticed this article on handcreams…….has anyone tried the Neal's Yard Remedies range, from Covent Garden, London? They are an aromatherapy company, and as well as selling essential oils they have developed an entire range of hair/face/body products that are GORGEOUS. And the packaging is classy and understated. The nicest hand creams are orange and geranium, and my personal favourite, juniper and black pepper. Hi Blimunda! Neal's Yard is one of those lines that I keep meaning to try. It's not widely available in the US, but I think I can find it at one or two places in NYC. I'll check it out next time I'm making my shopping rounds. Thanks for the recommendation! What a shame it's not easily available in the US. It's very well known and fairly ubiquitous here. The current issue of Marie-Claire is giving away a tube of their wonderful Frankincense Cream. Neal's Yard is a lovely little courtyard (off Neal Street) in Covent Garden, where the original shop was (and still is) situated. It was a great place to hang around in the '70s. Oh, you must! It's lost most of its hippie atmosphere, but it's still lovely around there. Don't forget to buy some cheese at the Neal's Yard Dairy. There are some US products I covet: can't afford them either.